This rich formula repairs hair's internal structure and strengthens elasticity. 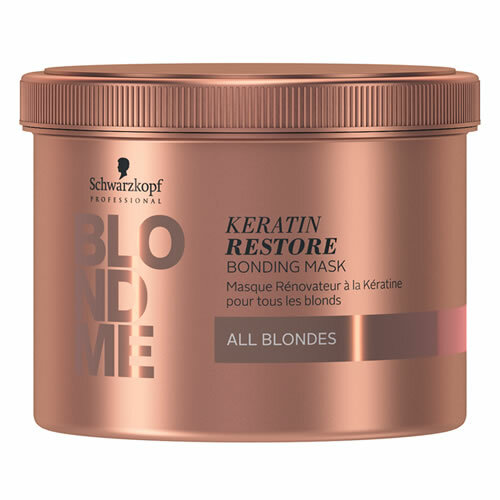 Schwarzkopf Professional BLONDME Keratin Restore Bonding Mask ALL BLONDES is a rich and luxurious product that leaves your clients' hair smooth and sealed thanks to its Keratin Restore formula. It's the final step of Schwarzkopf's BLONDME set of treatments—following on from a suitable cleanse from the range of BLONDME shampoos and the BLONDME Bonding Potion. 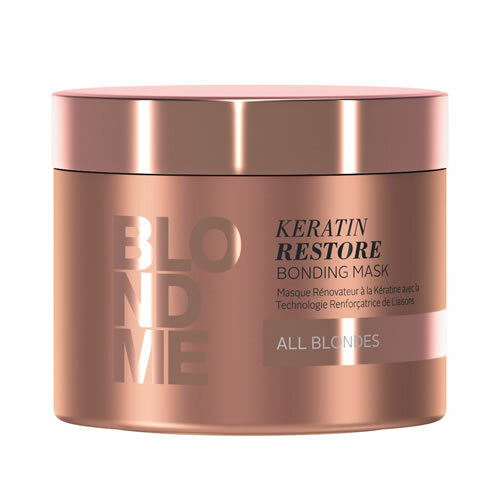 Suitable for all blonde hair, this weekly treatment repairs the internal structure and strengthens hair elasticity and leaves hair with a softer and more manageable texture. Hair will also look smooth and shiny as the Mask creates new bonds within the hair fibres and balances the optimum moisture level of porous, lightened hair. Consistent use will also help clients to notice that hair becomes easier to brush. £12.24 (inc. VAT) Why no VAT? We're a trade wholesaler and quote our prices without VAT to help our VAT-registered customers understand the true cost of a purchase. A caring, nourishing conditioner that is designed to restore, protect and enhance that iconic blonde look. 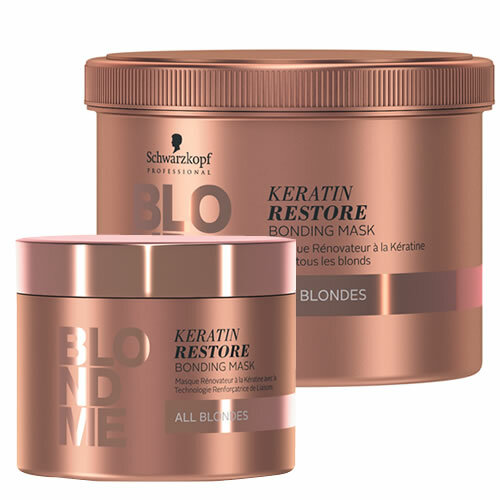 A brilliant complementary Bonding Potion that works in harmony with Schwarzkopf's BLONDME range of shampoo and Bonding Masks.